The Death Melodies Series (DMS) continues with one of the last Romanticist composers. Rachmaninov was born in Russia in 1873 and died in 1943. After the Russian Revolution, he spent most of his time in the US and Europe. He’s known as a late Romanticist while Modern styling was becoming prominent. He’s widely considered a virtuoso on piano, which his piano concertos have become standard in classical music performance. Toward the end of Rachmaninov’s life he drifted from American lifestyle and would rather speak in his natural Russian tongue. His circle of friends that he would regularly visit were mainly Russian nationals. When Rachmaninov was in Paris in 1907, he stumbled upon Arnold Böcklin’s fourth version of the painting ‘Isle of the Dead‘, which inspired him to compose his symphonic poem about it. The fourth version was black and white, which Rachmaninov stated that if he had seen the colored version that he wouldn’t have forged his somber symphonic villanelle. The fourth being rather recondite, it’s easy to see the correlation to the temperament Rachmaninov sets in the first half of his piece. The painting depicts a man being ferried to an island. Böcklin never mentioned the meaning behind it, but others surmise it’s of a lifeless man being transferred to afterlife. It has been a source of inspiration for Salvador Dali and many others. Hitler was also noted to having a version in his office. After the austere waves of sound passes in the first half, it shifts to pure beauty. 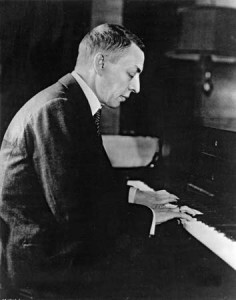 On the piano front, Rachmaninov composed many pieces. When he was 19 he wrote his “The Bells of Moscow” Prelude in C Sharp Minor. This piece gained enormous popularity. At one point he stopped composing and would just perform shows to earn money for his family. The crowds always wanted to hear this piece. He was embittered to it as he grew older. This is such a good idea,please keep the series going! Just a small note, the painter’s name is Arnold Böcklin, not Brocklin. Thanks for the feedback and noticing the inconsistency with the article. There will be more in the future. Of course he preferred speaking Russian as he grew in experience. We are all happiest with our own place where we belong because of who and what we are, not because we bought property there and the local HOA approves.